All Excellerated programs and products utilize a revolutionary teaching method “Excellerated Learning” that delivers more information in less time – excellerated. Based on over 35 years of extensive research and development into the strategies and winning formulas of the world’s best entrepreneurs, investors and fastest growing companies, we have identified why some people are more successful than others financially, mentally, emotionally, and physically and enjoy greater quality of life. We deliver this information to you – as a money-making system – with the promise of lasting, life-long change. Excellerated Programs will change your life. Not through simply watching and listening – you learn through actually experiencing and applying this wealth-building knowledge – right there and then as you participate. Begin implementing this life-changing information immediately. Significant changes can happen today. Traditional educational environments typically bombard you with information and motivate learning via individual competition – who’s smarter-than-whom – and the fear of failure. Our interactive learning process allows you to use what you learn today. Excellerated’s goal is for you to achieve your business and personal goals. We offer the tools and customized strategies to make your DREAMS come true! Excellerated is dedicated to providing the highest quality transformational, entrepreneurial education – worldwide – making a positive difference in the lives of people, their families, and to organizations. This education will assist the participants in achieving their highest potential – being empowered and provided with the best tools and leadership available to becoming successful and to achieve financial freedom – and for those who choose, to evolve into being great leaders in their fields of endeavor and contribute to society, which will eventually assist our cause to end scarcity, poverty, and hunger. CEO of Excellerated Business Schools® and Money & You®, a global organization that has over 100,000 graduates from all over the world, especially the Asia Pacific Region and the Americas. Programs are taught in English and Chinese – soon expanding to Spanish and other languages. Many of today’s wealth/business leaders have attended Money & You and transformed the way they teach and run their organizations. Through these graduates, including her business partnership of 9 years with Robert T. Kiyosaki of Rich Dad/Poor Dad fame, Dame Cordova’s work has touched the lives of millions all over the world. Her work is a significant contribution to planetary transformation, because the Excellerated Business Schools and Money & You have activated, inspired and motivated so many successful socially-responsible entrepreneurs to take action on behalf of humanity and Earth’s resources. Her stated purpose is to “uplift humanity’s consciousness through socially-responsible businesses.” Leading by example, DC is a philanthropist, humanitarian and is known as an Ambassador of New Education with a tireless pursuit to transform educational systems around the world and eradicate poverty and hunger. DC is a Mentor of Nurturing through her work with high-level entrepreneurs/business leaders. DC is now also CEO and Co-founder along with Huang Ming – a “billionaire with heart” and the world’s leading Solar/Renewal Energy Entrepreneur – of Himin Solar North America. The original Himin organization developed the only Solar Valley in the world in Dezhou, China. A city with over 7 million where 70% of the population uses renewable energy. The development of this Solar/Renewable Energy business is another part of DC’s tireless efforts to influence nations to adopt workable energy and the fair and equitable distribution of it, so that all people can live in a healthy and prosperous environment and include the wellness of the Earth. Originally, DC had been supporting this organization as a Global Ambassador for years before accepting this formidable task. Another intention for this work is to introduce to the world that China has extraordinary people and leaders in industries that add tremendous value to the betterment of humanity. 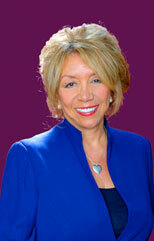 She is one of the contributors in the new Think & Grow Rich for Women book. She is the author of the comprehensive systems manual, Money Making Systems; and has been a contributor and written forewords in many books and publications. DC has participated in dozens of motivational films, TV and countless Internet shows. She has been interviewed around the world in every type of media, and hosted the Money & You radio show. DC has spoken on many stages, podcasts, tele-seminars, summits and is a sought-after speaker both in English and Spanish. She is active in many Social Media platforms and loves keeping up with the latest technological marvels that allow for the dissemination of information that supports a world that works for 100% of humanity – to move the world from a paradigm of scarcity to sufficiency, thus creating abundant resources for all. She is a founding member of the Transformational Leadership Council (TLC), and the SoCal Association of Transformational Leaders (ATL); a facilitator and contributor for the Pachamama Alliance organization – and supporter of Up to Us – a global campaign which is part of the Pachamama Alliance movement: http://www.UptoUs.org . A council member of Women Speakers’ Association; Asia Pacific development consultant /member of board of advisors of SuperLab; founding faculty member for CompassionHappens Inc.; international business development advisor for The California Women’s Conference and The WIN on Line organization. DC is developing the Money & You Book Series, which includes a global women’s platform entitled: Women, Cash & Divine Matters. A key component of this work will be a global, multi-cultural Web site / mobile site where women can connect and support one another, mentorship and coaching, inspiration, and practical business-oriented education. The business education will incorporate the specific issues and needs encountered worldwide by business women at all stages of their careers as employees or entrepreneurs. Sadly, most women in the world do not currently have access to this kind of education, one that will empower them to move to financial levels that support themselves and their loved ones and give them the motivation, ability and drive to join forces to eradicate hunger, poverty, violence against women and children, and other types of suffering. The work will begin in English, then Chinese, expanding into the Hispanic, Middle-Eastern, European and African markets in alignment with “sister” organizations.